We've been gearing up for embedded world, February 24-26, and the biggest challenge we have right now is getting the mountain of demos we've been preparing boxed and ready to ship to Nuremberg. 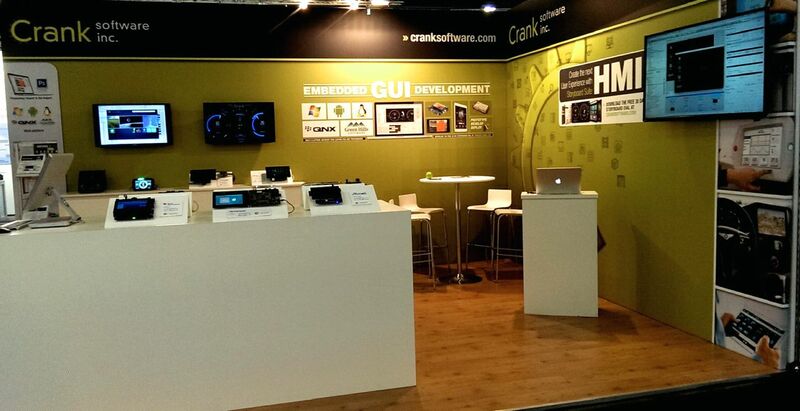 We are bringing more hardware to embedded world 2015 than we ever have before, which gives us more opportunities to showcase applications built with Storyboard Suite. While you’re making the rounds at the exhibit, check out some of our partners showcasing Storyboard technology in their booths, including Green Hills Software (Hall 4/4-325) and Atmel (Hall 4A/4A-230). In addition to the Storyboard demos we are bringing to embedded world, we will also be showcasing the newest features and enhancements in our next release of Storyboard Suite, which is just around the corner! You’ll want to stop by our booth to test drive the latest and greatest. We’ve been putting in a lot of development hours to ensure Storyboard users don’t have to. We've focused heavily on streamlining the design experience and supporting collaborative team development. Enhancements include multiple application design file support, model comparison and merge streamlining, improved capabilities for editing properties in Storyboard Designer, support for 9-patch images, Lua Editor updates to increase productivity and make debugging easier, relaxed naming conventions for elements in Storyboard Designer, support for scrolling layers and circles and arc render extensions, and more! If you want to get together with us at embedded world, please contact us to set up a meeting. Alternatively, come by our booth and chat us up. We are looking forward to seeing you!